Built in 1918 as SS Lake Orange at McDougall-Duluth Co., Duluth, MN. 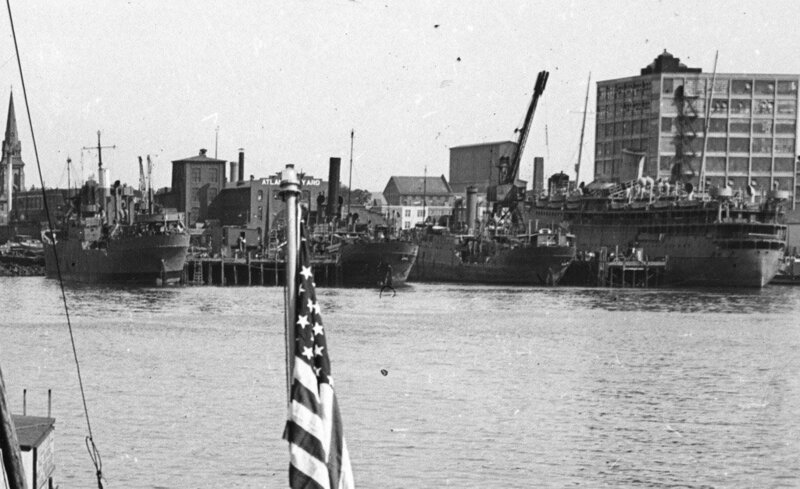 Converted for Naval service as a weather patrol ship at Maryland Drydock Co., Baltimore, MD. 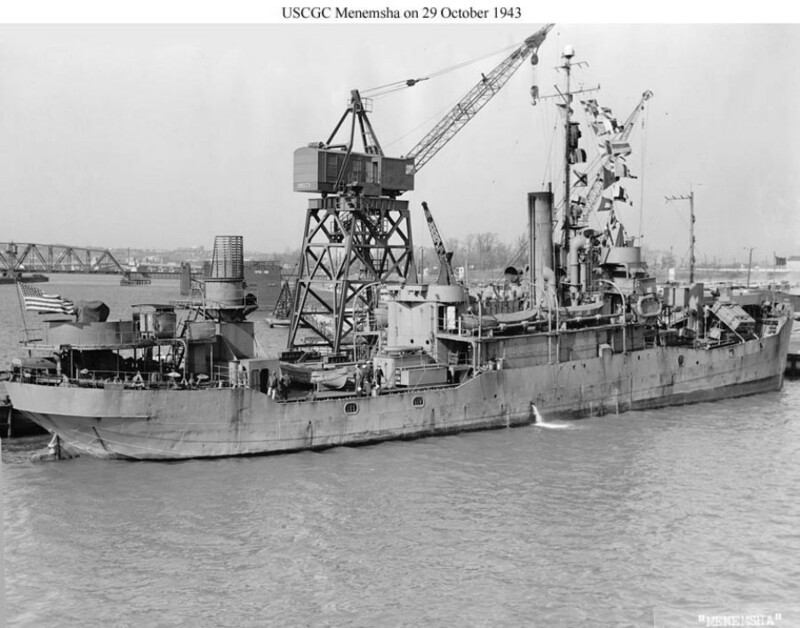 Laid up, 30 August 1946, in the National Defense Reserve Fleet, James River Group, Lee Hall, VA.
783k USS Menemsha (AG-39) being assisted out of her berth by the harbor tug YT-213 at Norfolk Naval Shipyard, Portsmouth, VA., 31 December 1941. 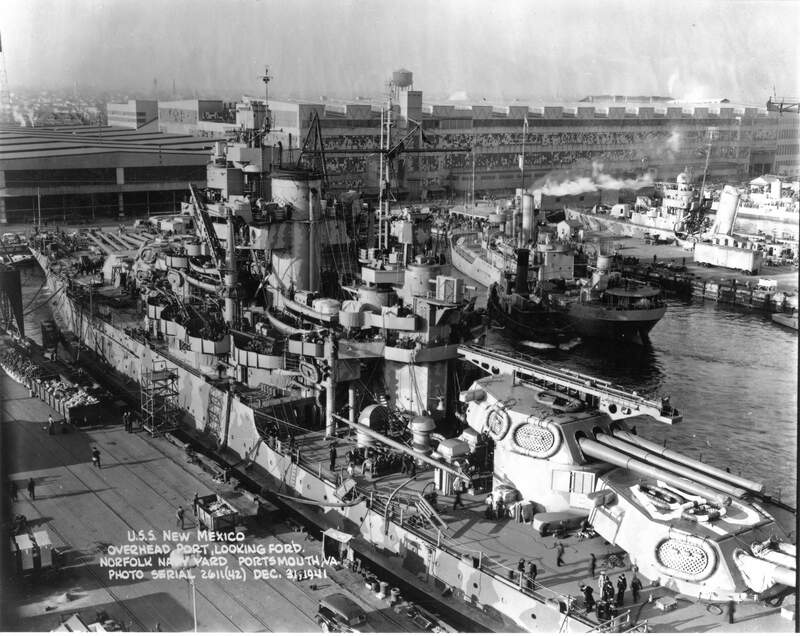 In the foreground is the battleship USS New Mexico (BB-40) Across the pier from Menemsha is the new destroyer USS O'Brien (DD-415). 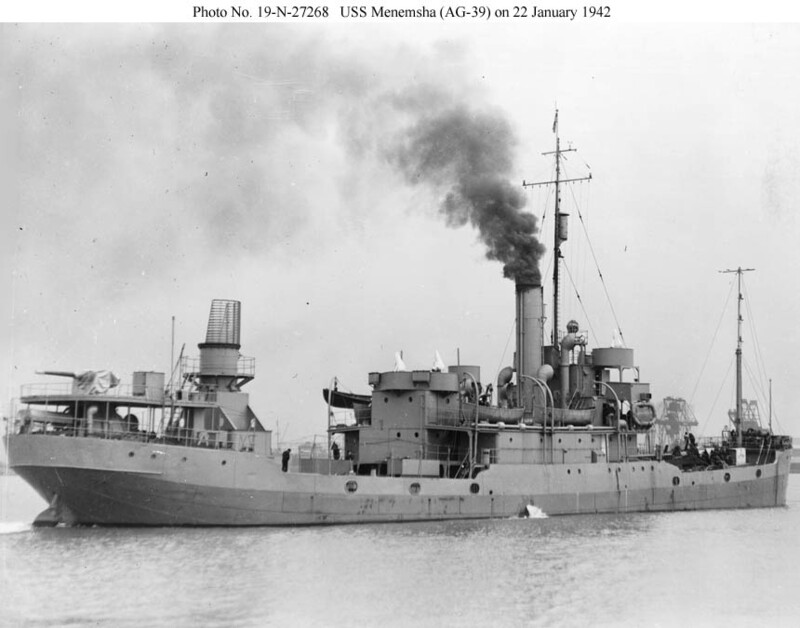 She would be torpedoed by the Japanese submarine IJNS I-15 on 15 September 1942 and sank 19 October 1942 while en route to Pearl Harbor for repairs. 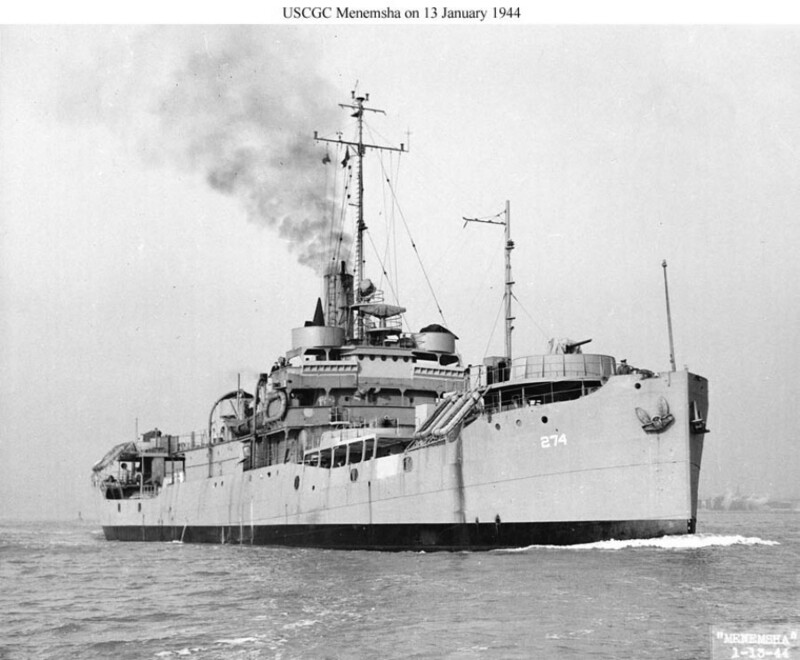 US National Archives (RG-19-LCM). Photo No. 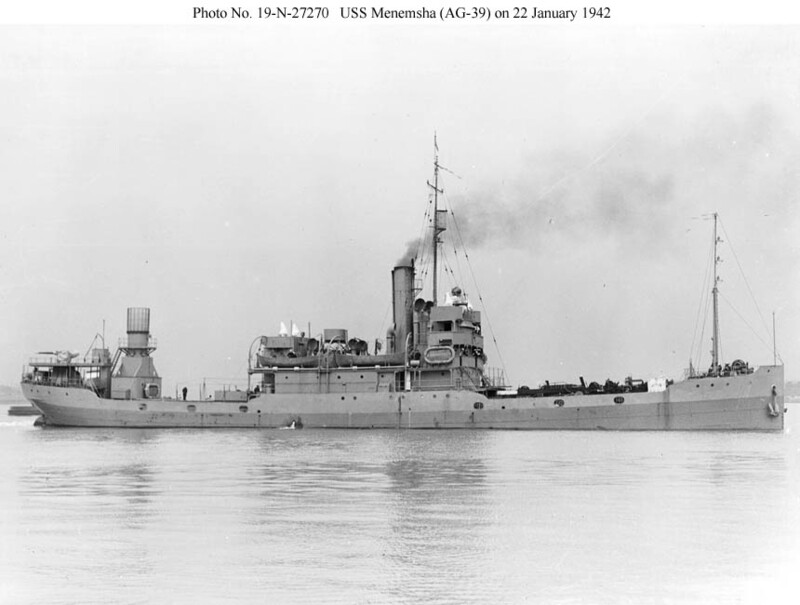 19-N-27270 72k USS Menemsha (AG-39) near Baltimore, MD., 22 January 1942, two days after commissioning. As a weather reporting ship this vessel lost all of its cargo handling booms and most of its rig. The round structure aft was for inflating and launching weather balloons. 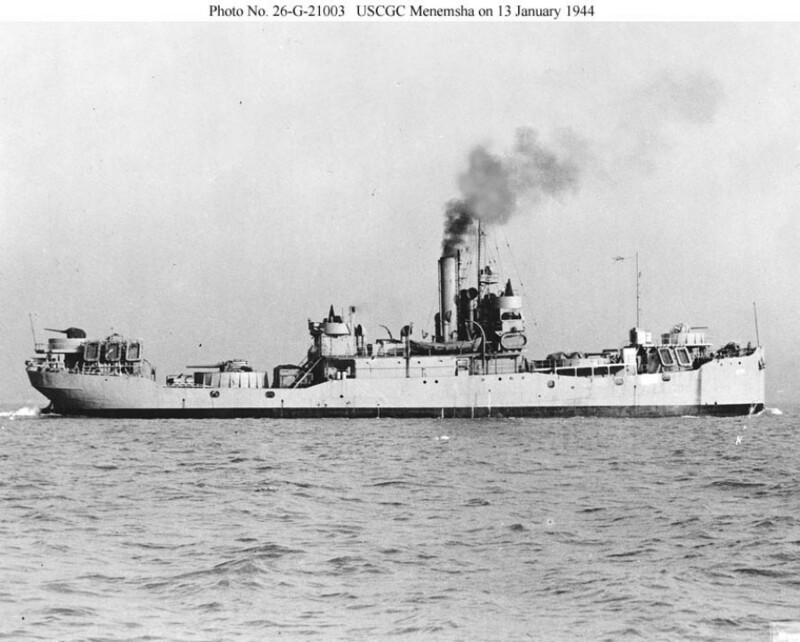 26-G-21003 143k USCGC Menemsha (WAG-274) underway, 13 January 1944, after completing her conversion to an Armed Guard training ship. Unlike her sister converted earlier at the same yard, this vessel retained her original bulwarks with large limber holes in her well decks.